Although the city has lost many of its favourite, second-hand bookshops in recent years, it’s good to see that quite a few have sprung up to fill the gap. In these straitened times it’s great news that readers can buy books at the ‘right price’, and long may it continue. These second-hand bookshops serve a growing need and, in the process, are establishing themselves with their appreciative and growing, customers numbers. Some shops sell a range of genres while others serve a niche market. One such shop is Sweny’s in Lincoln Place which specialises in Irish books, where you can get anything from Roddy Doyle, Sebastian Barry to William Trevor, James Joyce or Oscar Wilde. 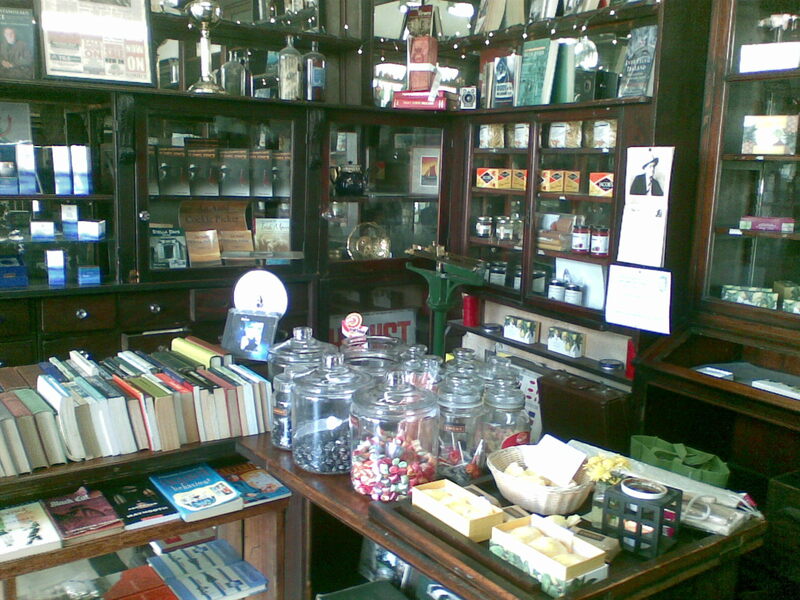 The shop was, in a previous life, a pharmacy and it still retains many of the original features. It has its own unique place in Irish literary history as it is mentioned in Joyce’s Ulysses. In fact, they hold weekly readings of the great man’s work, which is worth considering if you, like many others, have trouble in getting to grips with reading the difficult but ultimately rewarding book. And, there’s always a complementary cup of tea on offer! All these shops have their own unique atmosphere, something which makes browsing all the more interesting. Some are small, almost hidden away upstairs in old shops or markets, all vying for much-needed attention and trade. 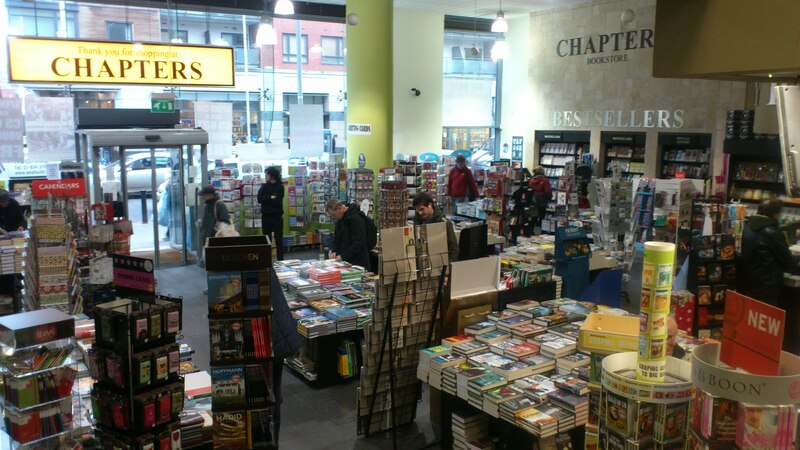 On the other hand, Chapters (Parnell Street) is probably the biggest of them all, and it has plenty of reduced new titles on sale. Upstairs is the second-hand section and it is well laid out and stuffed with books. The shelves are full and there are a few seats where readers can sit and ‘dip-into’ a book before buying. It’s a nice feature, and something that I have often taken advantage of. Also, the shop will do ‘trade-ins’ of your old books, either for cash or credit, and that can’t be bad. Chapters – stuffed with books! So, check out the second-hand shops, either in town or in your locality, they are worth a visit and, more importantly, worth supporting. 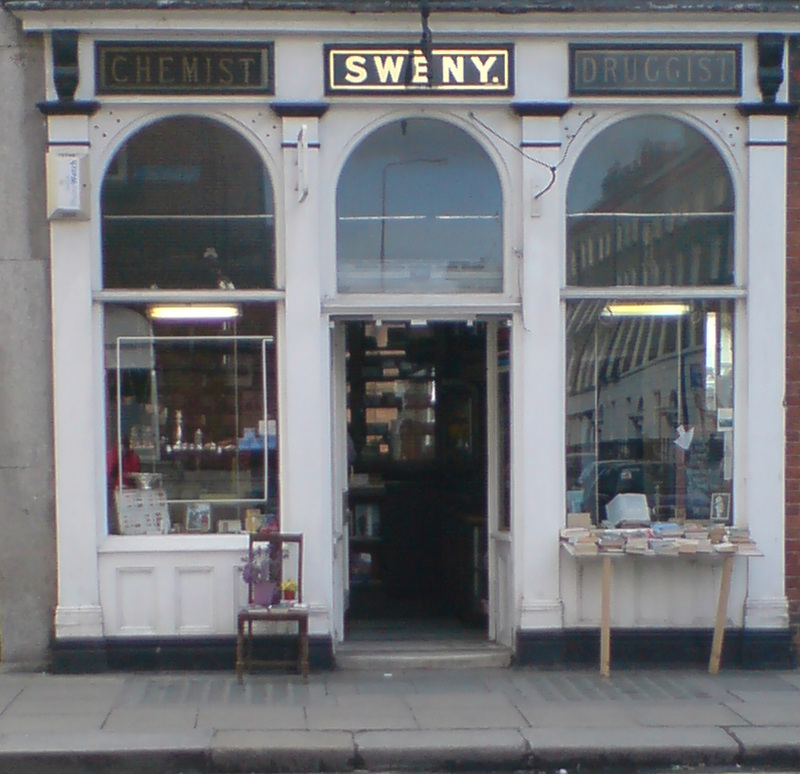 Good blog Don!.Really enjoyed visiting Sweny’s on Bloomsday last year. Many thanks, and I hope that you bought some lemon soap!